McDonald’s planning to use robot cashiers: Will this threaten summer jobs for students? McDonald’s has been a source of income for many high schoolers across the country, but many now face being displaced by automated-ordering machines. Now McDonald’s is considering adding automation to American and European restaurants after its quarterly profits fell nearly 30 percent. 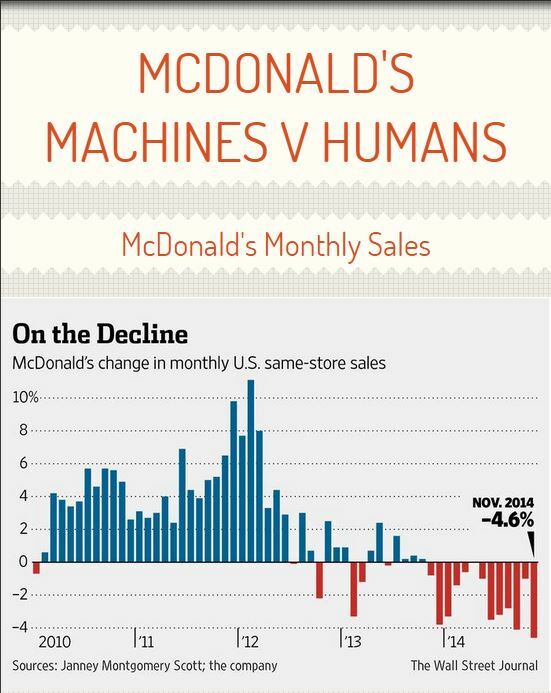 Due to a demand for higher wages, the future of McDonald’s did not look so bright. 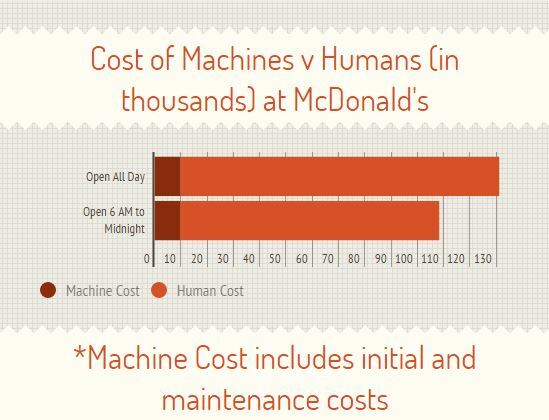 However, McDonald’s is implementing automation for a reason in addition to avoiding high labor costs. McDonald’s intends to implement a “build-your-own-burger” ordering system through the machines which it hopes will bring back customers who had grown bored of its stagnant menu. Automation is not an uncommon sight among chains. ATM’s have been around since the late 1960s and in grocery stores, self-checkout is a common sight. However, McDonald’s has avoided automation since its founding in 1940. Whether the aim of this change is to reduce labor costs or increase sales is not known, but one thing’s for sure – workers across the world at McDonald’s will be face competition with machines in the workforce. In Europe, 7000 machines have already been employed. This is expected to spread to America, where Grosse Pointe South’s own high schoolers may face competition in their work at McDonald’s. However, there is still hope for workers across the country. As ordering-kiosks have been installed in Europe already, one might expect to see fewer human workers in McDonald’s in Europe. However, quie the opposite is actually the case. Very few workers have been displaced. Some workers are operating more as waiters/waitresses than cashiers, but they are still employed. What many humans want in their trips to fast-food chains is human-interaction with the cashier. Simply look at grocery stores – many customers still prefer waiting in line to be checked out by a real person than to self-check out. What motivates people to do this is beside the point. the fact that they do it is enough for McDonald’s to keep most of their hired employees. If there is any chance machines will take over the workforce, it will take years. Four McDonald’s restaurants in California have implemented machines into their workforce, but have found that humans are still needed as a mediator between customers and machines. Machines malfunction. They wear down. They need to be replaced. And for all of these reasons, humans can not be entirely replaced. An analysis of automation in chains also revealed an increased rate of thievery. This may be more prevalent in self-checkout lines than in fast food lines, but it is still a serious concern. A Florida woman attempted to steal $354.05 dollars worth of good by only checking out 17 of her 64 items claiming that the machine failed to scan the items. This is just one example of the problems many restaurants will face without human workers in their labor force. For now, high schoolers should not worry about machines displacing them from work. If anything, the machines will make their jobs easier. It will be a while before machines are a common sight in all McDonald’s, and even longer before human workers are a rare sight. Indeed, there may never be a time when this occurs. Robots may prove cheaper than humans, but humans are a necessary aspect of achieving strong sales. Robots might be coming, but humans aren’t leaving.